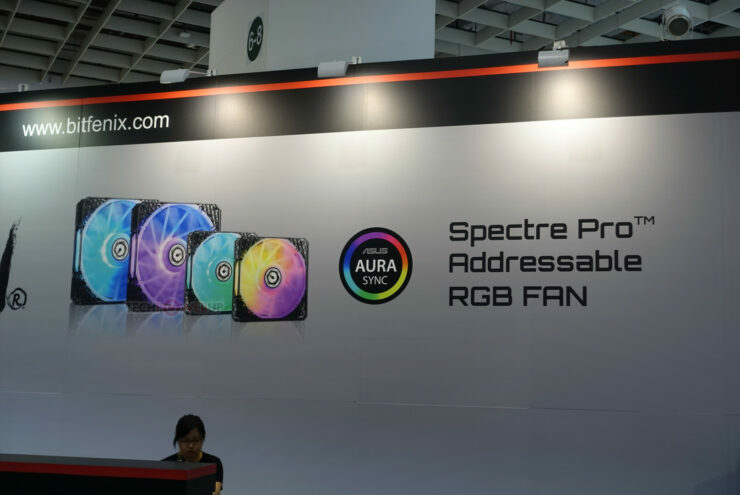 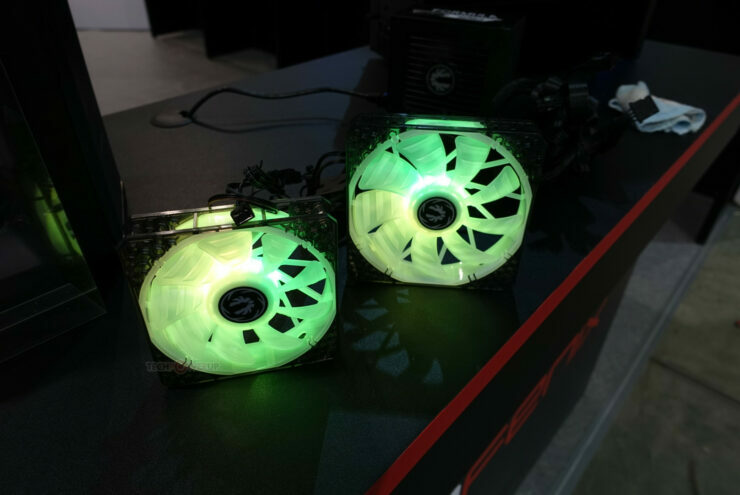 BitFenix, a long time PC Case and Enthusiasts product manufacturer has shown off the Fujin on the show floor, as well as the BitFenix Vision Titanium PSU and their Spectre Pro Fans with Addressable RGB lights. 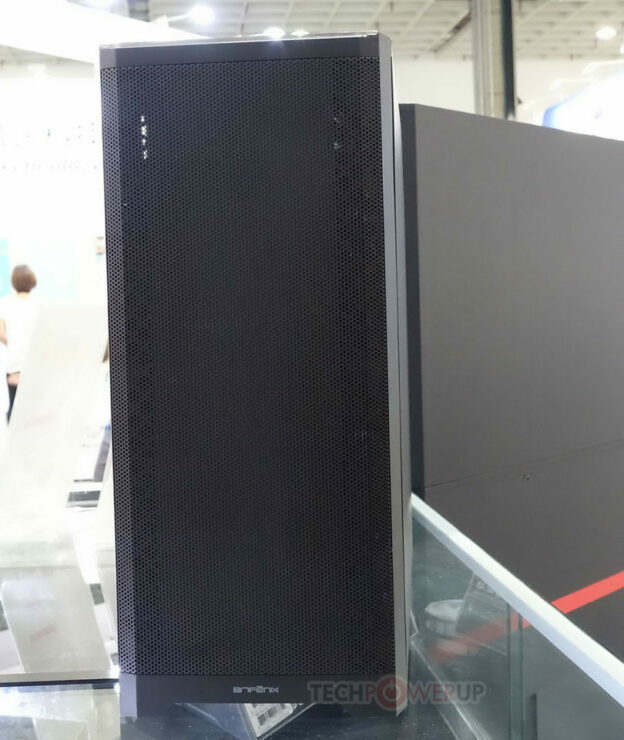 The Fujin has a bottom compartment, like many modern cases from NZXT, Phanteks and others with the bottom being almost completely enclosed except for a cutout for a radiator on the front panel. 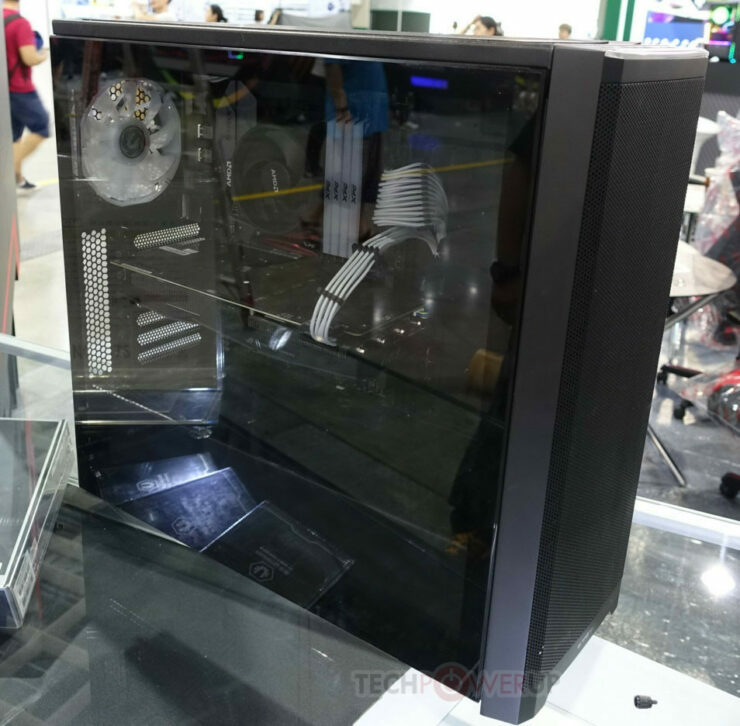 Like many cases today it also packs a tempered glass side panel. 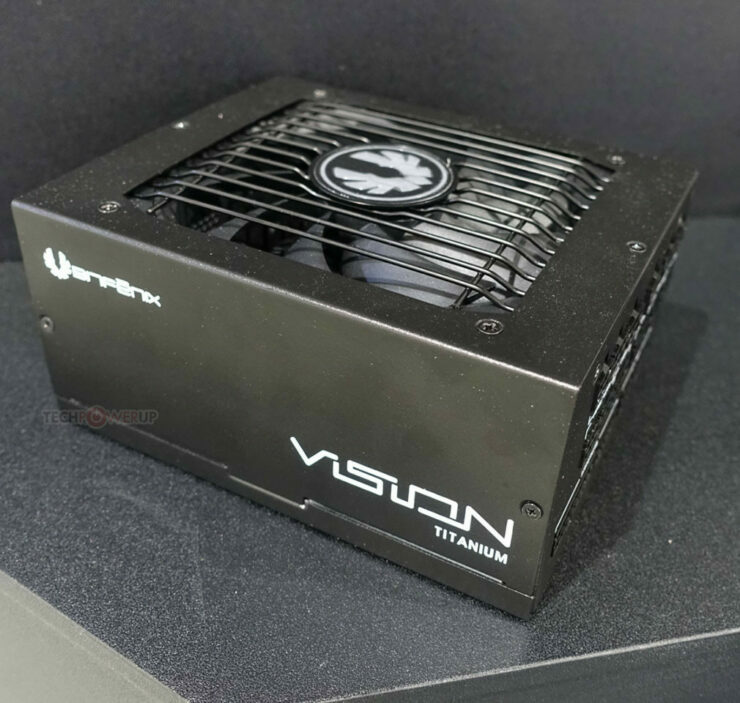 The case can accommodate up to two 360 mm x 120mm or a 280mm x 140mm radiator. 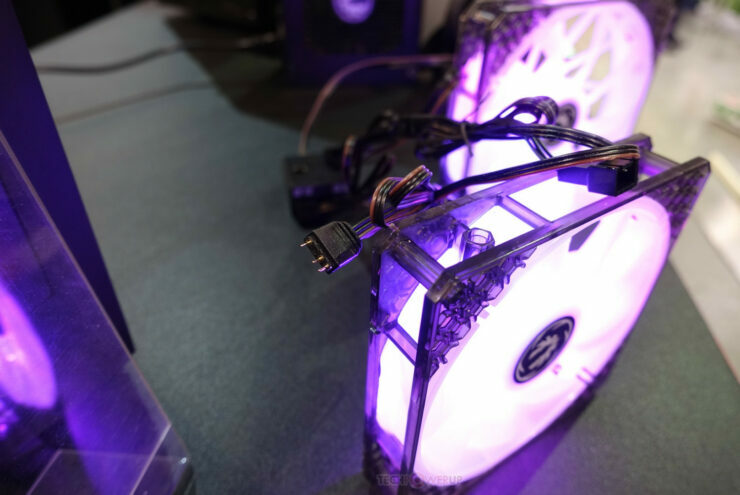 The front features a mesh and an RGB LED diffuser on the top near the front panel ports. 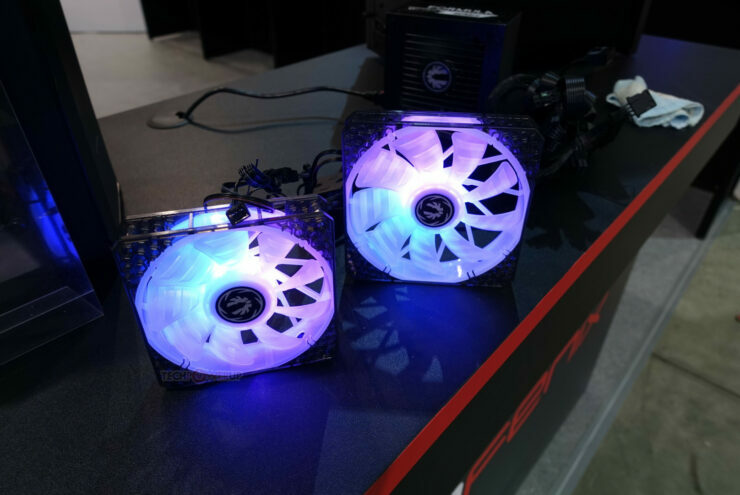 The RGB Strips pictured are not included in the case but a 120mm RGB LED rear fan will be included. 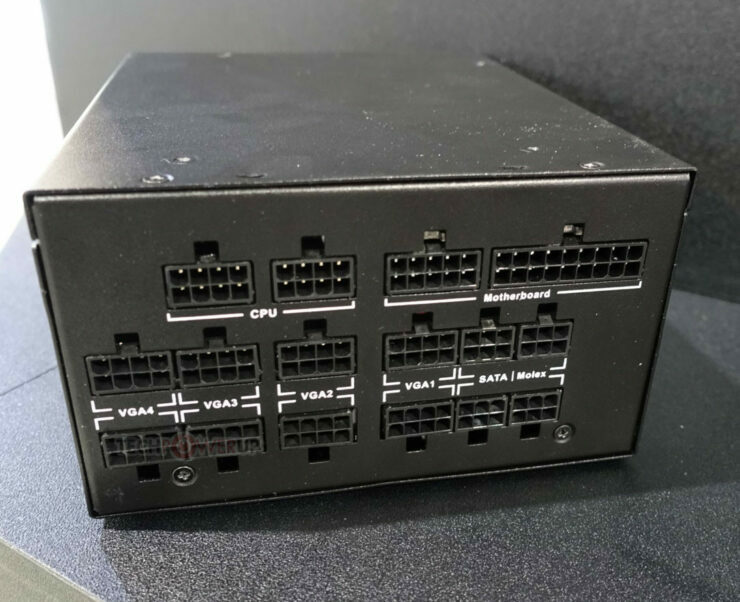 Storage options include two each of 2.5-inch mounts, and 3.5-inch trays (which can hold 2.5-inch drives). 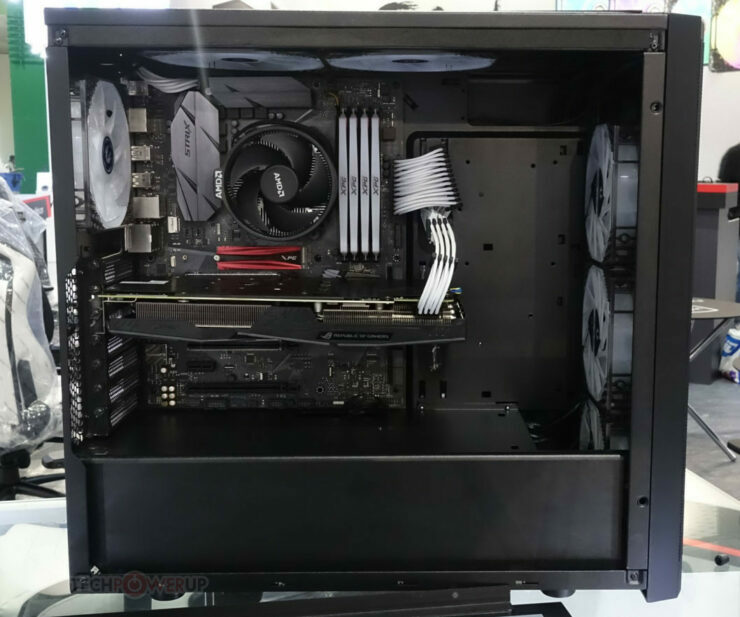 There is a generous 20-25 mm crawlspace behind the motherboard tray, so let you wrestle with your cables. 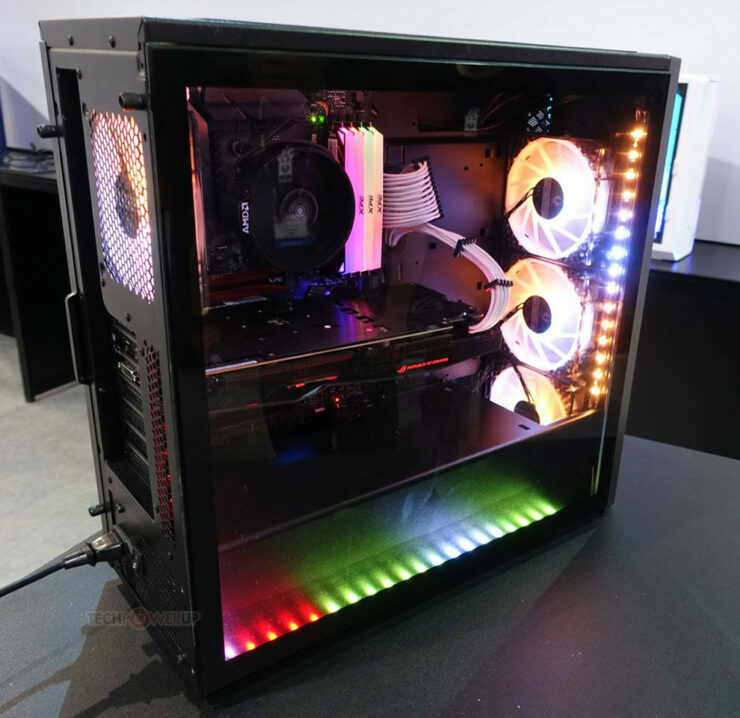 When it hits the shelves, this case will be priced around 69€ or $79. 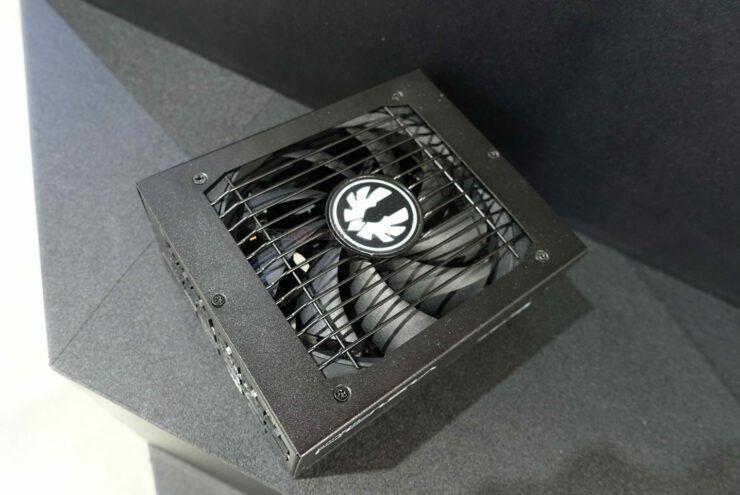 Also shown off was the BitFenix Vision Titanium their new flagship PSU, coming in wattages from 650W to 1500W these are 80 Plus Certified Titanium, making them some of the most efficient power supplies on the market, (Seriously though very few are Titanium rated) it packs a 135mm fan and are fully modular, these cables are also fully compatible with their Alchemy 2.0 modular cables.